Become the best alchemist ever by following the tale of the apprentice alchemist twins Lydie and Suelle. While working with their father to make their atelier the best in town, the outgoing twins surprisingly discover colorful worlds by jumping into magical paintings and soon find that the mysterious paintings hold the residual thoughts of their deceased mother. 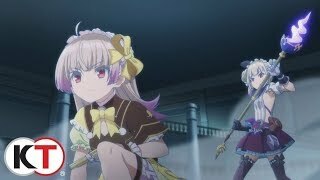 11/14/2017: Atelier Lydie & Suelle: The Alchemists and the Mysterious Paintings will be available on PC, PS4, and Switch on March 27th.